When someone visits a park and they are curious, what is the first thing they want to do? Ask a ranger. Park Rangers are icons of parks and one of the reasons people enjoy talking with Rangers is because they can answer your questions about nature. Now, you no longer have to seek out a Park Ranger in a park to get an answer to your question. 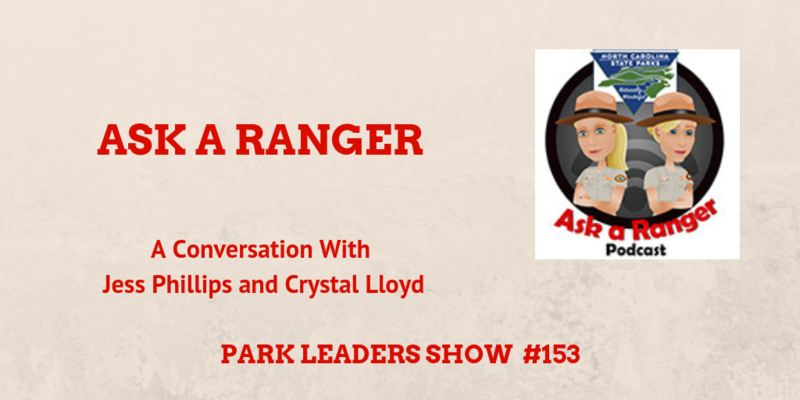 Park Rangers Jess Phillips and Crystal Lloyd from North Carolina State Parks have launched the Ask a Ranger Podcast. Jess Phillips from William B Umstead State Park and Crystal Lloyd from Falls Lake State Recreation Area teamed up to launch a podcast to be able to reach people who can’t or haven’t visited their parks. Rangers Jess and Crystal share their story of how they started the podcast and some of the episodes they have created. They also offer advice on how you can start a podcast for your own park or agency. Park Rangers educate the public every day. A podcast is no different. It is just a new and different tool to allow you to reach new people.